I live in the Lakeview neighborhood of Chicago. When I tell people where I live, I’m often asked “why Lakeview?” or given a glum, “oh. That’s cool.” My friends in Chicago don’t live in the neighborhood. People think of it for the college town style bars in Wrigleyville, or going to The Alley when they were teenagers to get punk gear. I find that I’ve started to preempt the “Why Lakeview?” question with a quick explanation that I moved to that neighborhood because it had good neighborhood public schools and I moved to Chicago with 2 school-aged roommates. This explanation seems to satisfy most people, but it doesn’t resonate. Before this move, public schools aren’t something I would have factored into my neighborhood choice either. 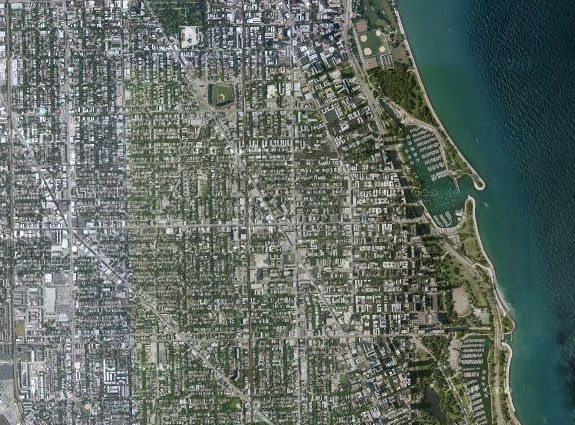 When I talk to long-time Chicagoans who live in other neighborhoods, it makes me anxious. In a city so defined by racial and economic segregation, I worry that people will think of me only in terms of perceptions of my neighborhood. I will become only the privilege or ability or ability derived from privilege that gives me the means to pay the neighborhood’s above average rents. And that is true, it is a part of my reality and who I am, but it’s not everything, just as the mostly white, mostly young, mostly professional folks living in condos are a part of the reality of lakeview, but not everything. Note: Low income = families with annual income < $38,622, moderate income = families with annual income $38,622 – $78,825, families with annual income > $78,825. Read full data and analysis. I’ve decided that it is reductive to, by my discomfort in owning up to where I live, define the place where I live only by the 59 percent of families that have high incomes or the nearly 79 percent that are white. This ignores the 18 percent of low income families who found some way to work themselves into the neighborhood, perhaps in order to send their kids to a functional, vibrant public school. It ignores the queer youth of color who come to the neighborhood so they can be out; and institutions like the Links Hall dance and performance space; the Chicago Womens Health Center, the LGBTQ community center, Center on Halsted; and the Lakeview Action Coalition. I can’t really say what all these parts mean, whether they’re bad or good, just that they’re part of the neighborhood. When we think of place only by its biggest or loudest components we think of the way that they change in frightening terms, as one thing consuming or threatening another, instead of transformation or evolution. I want to see the places in my life for everything that they are and might be. Note: All the data from this post is from the fabulous Metro Chicago Information Center. The photo is from Google Maps. I realized this past weekend that the Chicago Underground Library is also now in Lakeview.